Live Life Like a Best Seller: And You Said You Hated Walmart. . .
Every Walmart looks exactly the same. Let me preface this blog by saying that I am not AT ALL fond of Walmart. I really don't care for their cookie-cutter stores, harsh neon lights, cheaply produced items, business practices, or their complete lack of ethics for that matter. 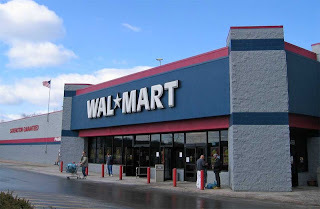 I could go on and on, but it's enough to just say that when we lived in the States, I avoided Walmart like the plague. And maybe there was a small part of me that was terrified I might run into these characters without my trusty camera. Is this what Serbians think of when they envision America and her people? I sure hope not! 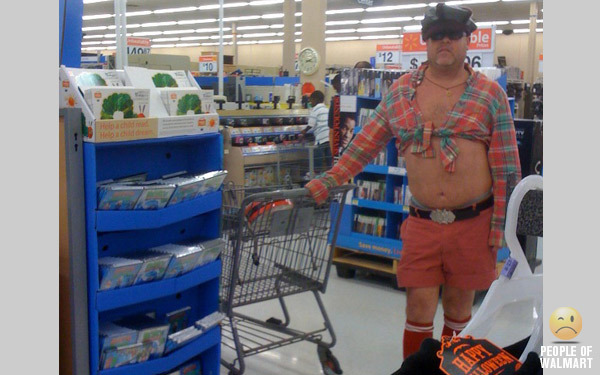 To my Serbian readers, please be assured, that you cannot judge a county by the patrons of its Walmart stores! 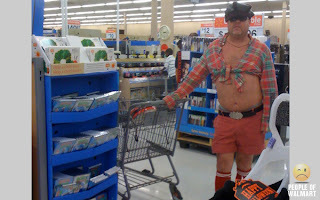 In my opinion, Walmart is a strange place, but not everyone in America shops there! And contrary to the two pictures I posted above, some very normal people can be found inside your neighborhood Walmart. When Chris and I arrived in Serbia, no one believed that we were indeed from America. When we asked for a reason as to why our nationality was in question, every person said, "because you're not fat, and all Americans are fat!" What?! Again, do a lot of Serbians believe this about Americans? Or maybe my question should be, does the rest of the world believe that all Americans are fat? My reply was always something to the extent of, "You listen to American music and you watch American shows, and most of the singers and actors are not fat. How can you say that everyone is fat in America? That is a generalization." My claim was always brushed off with a similar reply, "Oh well, sure, all those Hollywood stars are the exception. They have people to cook for them and make them work out." The only thing I could leave the conversation with was, "Well, if you find me on Facebook, you will see that my friends and family are all happy and healthy." I blamed the misconception on McDonald's and Walmart. But after living in Serbia for 7 months, I have come to miss what I refer to as "the Walmart one-stop-shop mentality." In Serbia, a simple craft project will require you to run all over town for basic supplies. 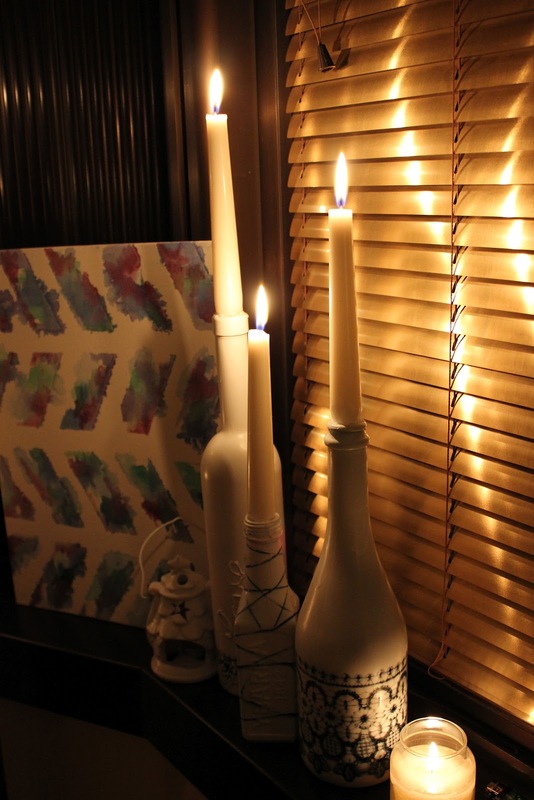 I found a cute project on Pinterest using recycled wine bottles. Great in theory, but totally a different animal when put into action. I asked my friend Darko where I could find a few crafty items. His reply, "There is a store by the post office where you can buy yarn and lace, but then you will need to go somewhere else, it's not that far away, to find a glue gun. Usually that store doesn't have glue gun refills, that is the only problem. For those refills you will have to go to the other side of town, but while you're over in that direction, you can pick up spray paint. You know that little store that only sells paint, yeah, that is the only place to find spray paint. Paint brushes, hmmm . . . I think you can find those at Plato Books but I am not sure where else you can find them. You said that you need rubber bands as well. . . I don't know where you can find those." After four hours of running from one corner of Subotica to the other, I finally plopped down and started creating. As I spray painted lace covered wine bottles, I found that I missed the ease of running into my local Walmart and knowing that anything and everything was contained within those four walls. Even if I had to deal with a few crazy looking folks. Maybe you learn to appreciate things more when it takes time and energy to get your hands on them. the reason why you have to run all over town to find things is because they are not "the usual" stuff people around here would need often. I am sure you noticed craft is not on the list of things to do in a free time among Serbians. What we have around, are grocery stores on every corner that would always carry fresh meat, vegetables, fruit, etc contrary to The States. That said, I also miss Target! Absolutely! I should have said that in this blog! There is NO shortage of bread, meat and fresh veggies in Serbia! You can find those items anywhere and everywhere. . . I just miss being creative and I really miss Target too!! I can do without Walmart, but I always knew I could find what I needed immediately, and that sense of immediacy is one thing that is wrong with America. While living here, I have to train myself to enjoy the search. Two weeks ago I came back from Houston TX, where I've spent ten days. Of course, I had a long shopping list that my wife gave it to me. Well, that was not so easy to achieve. With help of modern technology (Wi-Fi Internet on smart phone) and rent a car with GPS it would take me couple of hours to find one single item. Shopping malls were minimum 10 miles away from each other and finally after ten days I came back home with only ten items. I went to Walmart and Target as well and I didn’t find more products or variety there, then in one Metro, for example. BTW, Did you check out Creatinas (http://www.creatinas.co.rs/) ? They usually have everything if you want to make crafts, etc. You mention you went to the one by the post office, is this the one u visited? Oh I agree!! I'm not a big chain-store lover but I sure do miss crafting! I've had to beg people for information about craft stores. My cousin teaches journaling classes in the US and she has sent me a box of goodies. My sister is handling I list I sent her already as I'm kind of picky about my art markers (stupid art major I was working on spoiled me to the good products). And I can't get Sharpies here in Serbia!!! That should be a crime! But we'll manage! We love this place and we have to deal with all the quirks.